Your hot tub purchase will help make a difference! 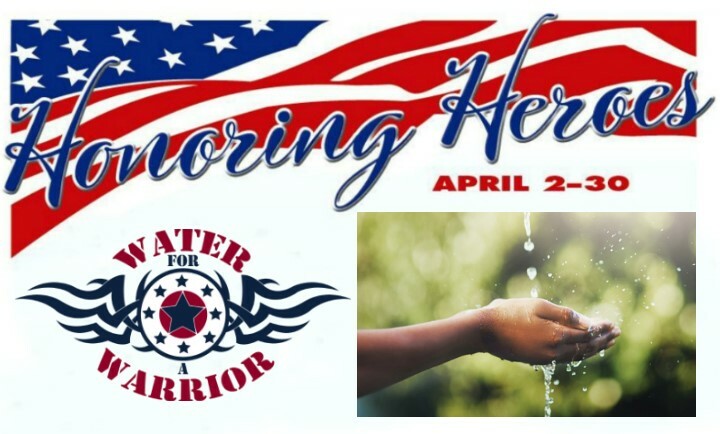 Water for a Warrior–This organization works to help combat and service wounded veterans by providing hot tubs when hot water therapy has been identified as critical to aid in recovery and well-being and improve quality of life. They work at a local level to support veterans in our own area who have given so much to help preserve and protect our freedom. Hot Spring Spas has partnered with Olympic Hot Tub to donate $300 to Water for a Warrior for every Hot Spring Spa sold between April 2nd and 30th. Olympic Hot Tub will also donate $100 for every Freeflow Spa & Covana Automated Gazebo sold during this event! You can learn more about this terrific organization at http://waterforawarrior.org/ and on their Facebook page.